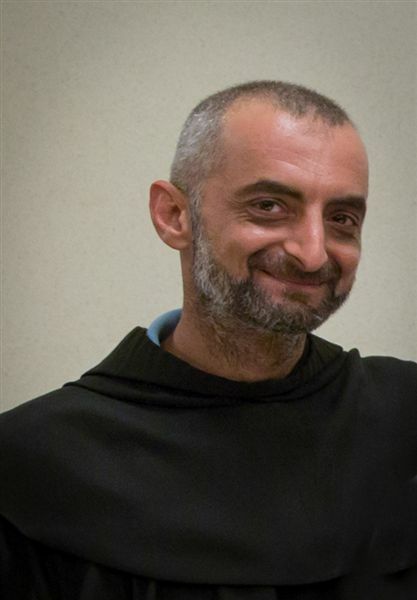 home / Multimedia / The Holy Land in news / Updates from Syria: what was done in 2015 and what we plan for ..
With the start of 2016 we are very happy to report a news published yesterday on the official website of the Custody of the Holy Land: Father Dhiya Azziz who had been kidnapped on 23 December, has finally been released. Meanwhile the humanitarian crisis in the country is getting worse; so there is an increasing call for help. 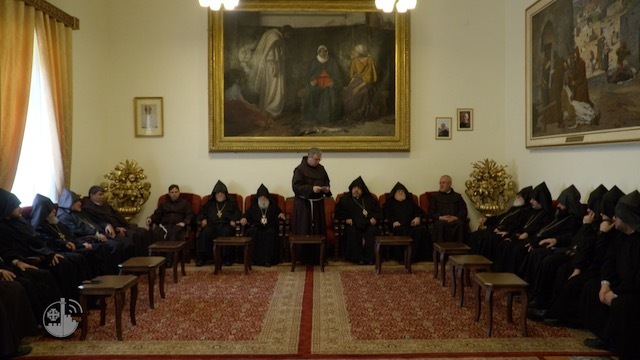 However, the Franciscan Friars of the Custody of the Holy Land maintain their active presence in Syria, also thanks to the support of Association pro Terra Sancta. There is water shortage and lack of electricity. The strikes to the Christian community went on for the whole Christmas period. 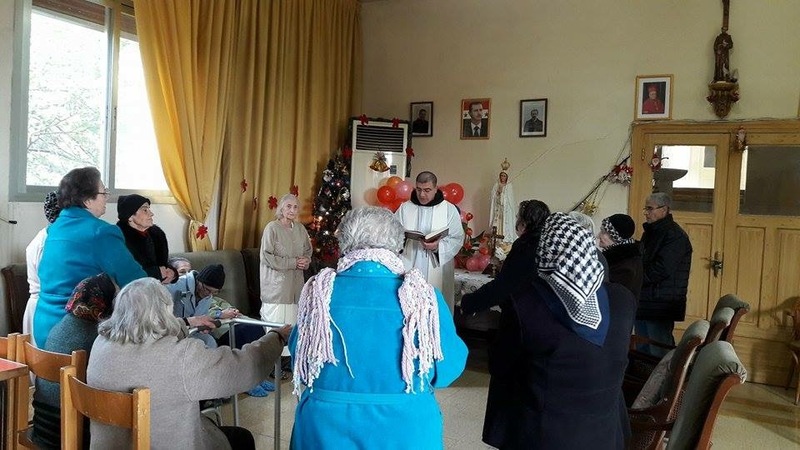 The Franciscan Friars in Aleppo tell us: “On Christmas day 8 gas cylinders were thrown at us; but thank God, we managed to end all our celebrations without anybody getting hurt”. The health emergency level is still very high: epidemics are increasing severely, because of poor hygiene and malnutrition, as well as hepatitis, gastroenteritis, tuberculosis and neurological and mental disorders (these are becoming a serious issue also in refugee camps in neighbouring countries). The Friars in the St. Paul region which includes Syria, Jordan and Lebanon, are now 27. 14 of them live in areas where the conflict has been going on for almost 5 years now. 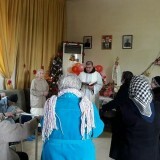 Among them there is Father Firas who has recently joined the community in Aleppo. He tells us: “I won’t give up despite the great suffering and the constant threat of death”. 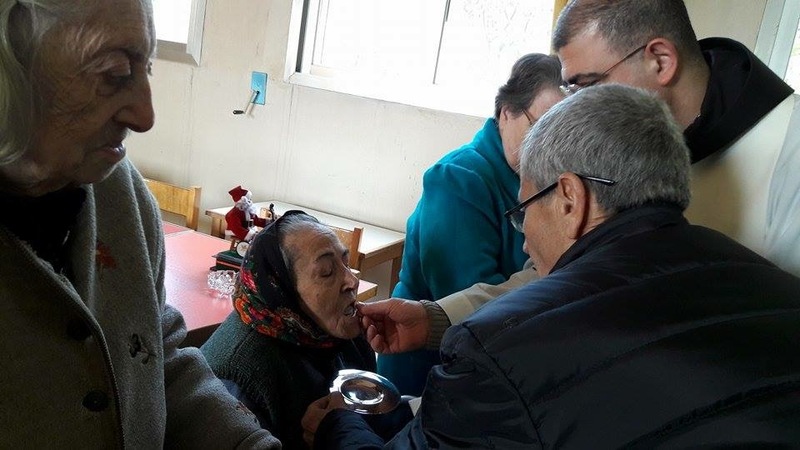 The opening of a door of Mercy in the parish of St. Francis in Aleppo has been one of the most significant events of 2015. As the Friars told us: “It is exactly amidst these dramatic circumstances that we are able to experience a stronger presence of the Father who is ‘rich in mercy’. He shows up to us through the human face of his Son Jesus […]. In this way he made himself flesh for us. We are therefore persuaded that this great gift has to be received through this great fatigue and made fruitful through our hopeful awaiting for a new time of Grace”. 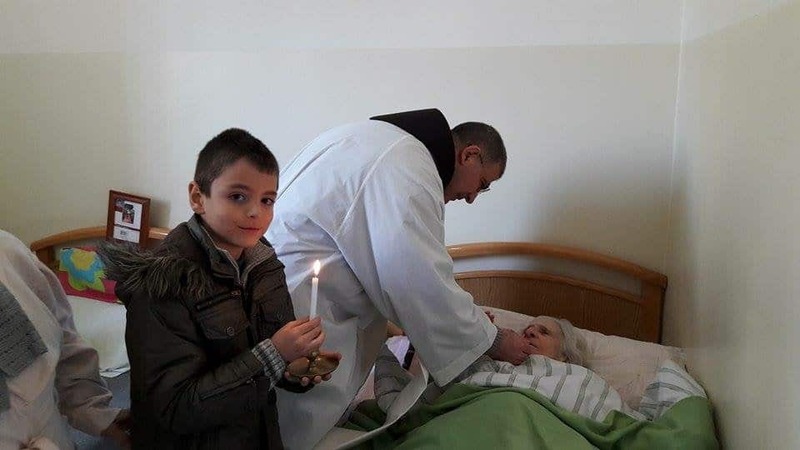 So this what remains in Syria at the end of 2015; and this is why in 2016 will give even more support to the Franciscan Friars. Our fundraising campaigns allowed us to keep on helping the monasteries and the 4 reception centers in the country. This year, new funds will be used for the reconstruction of the hospital in Aleppo. “When Mary was tired, before giving birth, Joseph was always at her side; when Mary was tired, after Jesus was born, there would also be the divine baby to support her, together with Joseph. And this would make her hard task lighter. In our moments of difficulties, you are all by our sides, and we do feel your closeness as members of the Mystical body of Christ: you are our consolation, our comfort and our support”. Support Syria now. 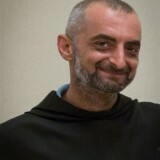 Your help will reach the Franciscan Friars immediately. Happy New Year to all our friends and supporters!